World Vision is committed to partnering with the people of Albania to improve their lives today and to help deliver sustainable solutions through child protection and participation, inclusive education, health, and economic development projects, for the future of their children, families and communities. 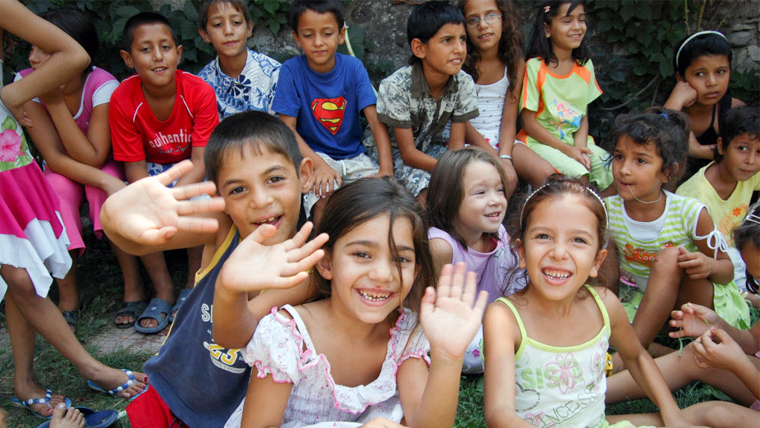 Please pray for our work with the poorest children in Albania. Brisilida is 14-years-old. Like most teenagers she dreams of her future, who she will be and what profession she will choose. But her dreams are shadowed by the weight of reality. Her present circumstances mean the thing she hopes for most seems impossible. With very little income life is difficult. Brisilida’s father is trained as a police officer but jobs are scarce in the village and he cannot find work. Her mother needs to stay home to look after her younger brother, Fatjon, who is disabled and has autism. Pray that Brisilida will not lose hope. 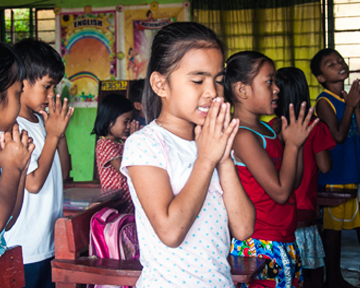 Pray that her father would find employment and that Brisilida may have the opportunity to go onto further education so she can train to become a doctor. Pray too that others in her village will be inspired by her pursuit of her dreams so they can dream for bigger futures themselves. Please pray for Antero who is 12 years old and is paralysed. He lives in Lezha with his sister Aurora, 11, and his parents, Pjeter and Vera. All his life, he has been confined to bed. Antero used to be heavily sedated with medication. Five years ago, we started working with his family and helped them discovered that the medication prescribed to him was too heavy. Since then, he started receiving more appropriate treatment that allowed him to move a bit. However, he has never been able to go to school, run around outside or have playtime with friends. No one in his family can read or write and none have received any schooling in their lives. His sister suffers from muscular dystrophy. It is very hard for Antero’s parents to find well paying work and provide for Antero and Aurora’s special needs. His family are very poor and survive only through social support/assistance from the state. Please pray that the Lord gives Antero and his family comfort. May he also have the chance to experience some small joys in life such as having friends play with him. We know that to our God, Antero and his struggling family are very beloved. Valter is 18 years old. His father was recently murdered. He lives with his mother, Anita, his two younger brothers and older sister. He completed high school this year and is hoping to go to university to become an economist, just as his father wished him to be. When Valter’s father was killed, he had just started his senior year in high school. He was so sad about the loss of his father that he couldn't go to school for two months and as a result he got a bit behind with his lessons. However, he finished the last high school year with very good grades. He is a very calm, intelligent and wise young man. But his relatives and neighbours are harassing him, demanding that he revenge his father death’ and defend the family honour by killing the one who killed his father. This is very common in our area of Albania and causes many problems. Valter doesn’t want to take this option. He just wants to go to school and make his father proud. He wants to go to university in Tirana (the capital) and not Shkoder, even though it’s closer to home. He is worried that if he lives in Shkoder with his cousins, they will try and encourage him to avenge his father’s death to reinstate the family honour. You prayed with us for little Markos who is 7 years old and suffers from a rare bone degenerative disease. This disease makes his skeleton weak so he can barely hold the weight of his growing body. Our Almighty God intervened and provided kind-hearted people who supported Markos and his parents, Pal and Angjelina, to take him for treatment to a specialised clinic overseas. The doctors there still need more time to refine his diagnosis and treatment but have confirmed what type of bone illness. With the right diagnosis, the doctors hope they can treat Markos. This news was given to Markos a few weeks ago and he will be going back to the clinic later this year to find out his correct diagnosis and to start his treatment. Thank you for keeping Markos in your thoughts and prayers. We hope he will have at least the possibility to live a life without much pain and will continue to walk. Please continue to pray for him. Please pray for Kristjan, who is 18 years old. He lives with his parents and three little sisters. They live in a small, one-room house, which doesn’t have a door. Recently, his 14-year-old brother Valentino went missing. After three days, he was found drowned in a canal close to their house. Kristjan was so devastated by the news, he tried to take his own life. Kristjan was born and grew up as a refugee in Greece. But because his parents were unemployed and had no income, they decided to returned to Albania two years ago. It was very difficult for the children to integrate in their village. They barely knew the Albanian language and didn’t have friends in the area. Kristjan’s parents are unemployed and it has been a difficult time financially. His father, Leke, is an alcoholic and his mother disappears from time to time from the house. This has also caused problems in the family. Kristjan’s life is very difficult and he feels like giving up. He feels very alone. Please pray for Kristjan’s physical and mental health in this difficult time. Pray that God will give him peace, comfort him and give him strength to continue. Pray also for peace and prosperity for the family, that they will have a safe, warm home were all 4 children can thrive, have enough to eat and live in comfort. Nearly three months ago, 13 year old Mikeljan experienced bleeding from his nose and severe headaches. Doctors in Albania diagnosed him with brain cancer and said there wasn’t much they could do for him. His distraught parents quickly borrowed money from their relatives and sent him to Italy for treatment. Mikeljan had surgery in Italy and after a month of continuous medical treatment he came back to Albania. He still feels ill and is experiencing headaches and a lack of appetite. Mikeljan lives with his parents, two brothers and two sisters. His parents are unemployed and have no income to support their family besides the potatoes, tomatoes and onions that they plant on their land close to the house. This is all that provides them with their meals. Please pray that God will completely heal Mikeljan from cancer and that his family can find ways to provide for his continued medical treatment, pay their debts and have enough to live on. Thank you for praying for Klevis, 13, whose father passed away some months ago after a long period of paralyses. The absence of his father affected the young boy very much. Since his father’s passing, Klevis isolated himself and didn’t want to speak to anyone. Now he has become part of the World Vision Child Protection Group and spends time with the other group members. He has made friends and has started to talk and play with his peers. Thank you to all those who prayed with us for Klevis’ healing.